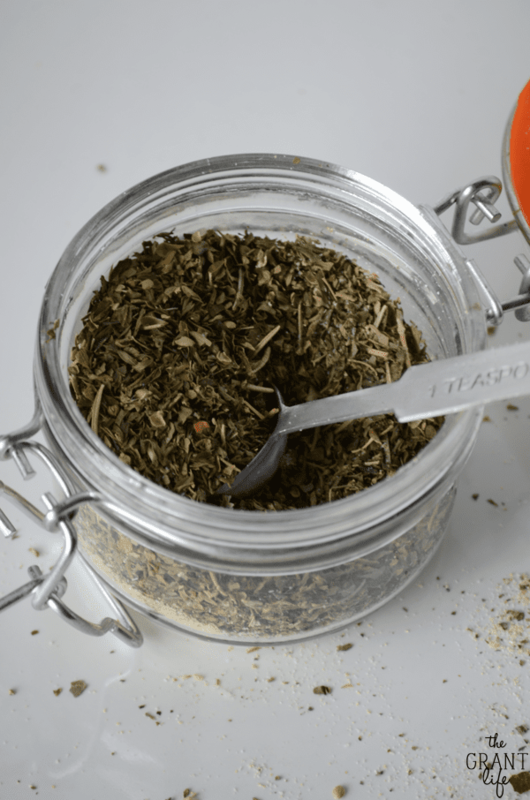 Make this homemade Italian seasoning mix with spices you probably already have on hand. I am not a morning person. Not at all not even a little bit. Which really irks my husband, since he is up at 5 most mornings and considers 7 “sleeping in”. I just thank the good Lord that he wakes up early because he always has coffee ready for me when I slump out of bed. I figure since he takes care of the morning routine that I can take care of the evening duties. Ya know, dinner and baths and bedtime routines. Which really works out in my favor because I love to cook and I enjoy the downtime after dinner. It’s my favorite. I recently started making my own homemade spices. I have a pretty decent array of herbs and spices in my cabinet so I figured why not try my hand at homemade spices. And guess what? I love making different mixes! This homemade Italian seasoning may be one of my favorites so far. 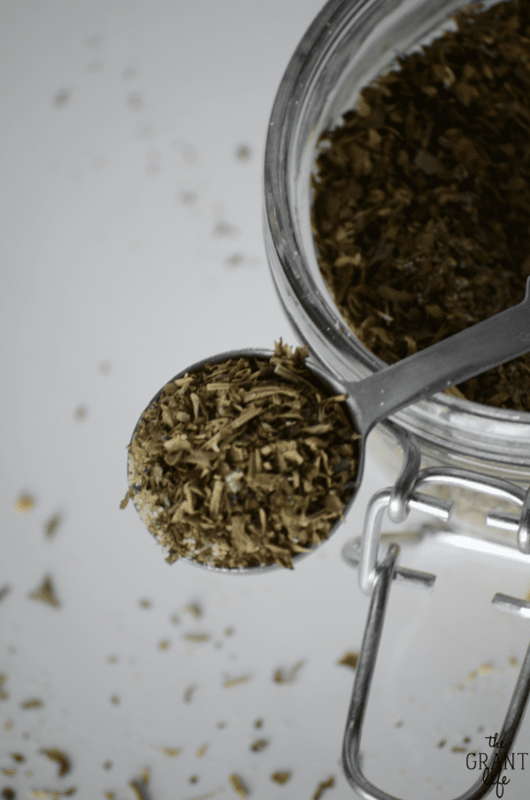 What’s Italian seasoning made of? The reason I love homemade sauces and spices so much is that you can customize them completely to your liking. 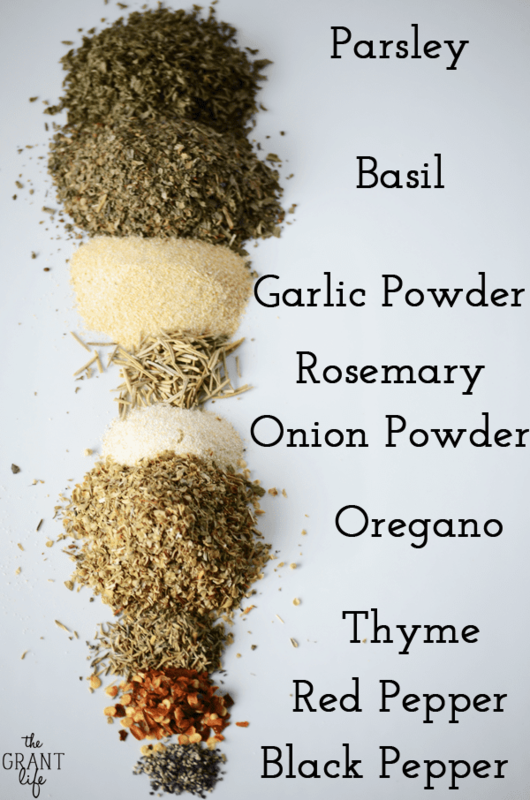 Take the recipe below for homemade Italian seasoning and tweak it to have it fit your palette. I love that most of these spices are fairly common. I think I had most of them in my cabinet already, if not all of them. Together these herbs and spices produce such a great Italian flavor for your meat or vegetables. We love using it on steaks! This “recipe” is really simple – just toss all the spices together and mix. Store in an airtight container. You may have to shake it before you use it each time as the smaller spices may settle on the bottom. Like I mentioned before, one of the reasons I really love homemade spices is that you can totally customize them to your liking. If you want your Italian spice mix to be a little spicier – add more red pepper flakes. If you want a super garlic-y Italian mix – add a bunch more garlic powder. And high five for wanting my garlic in your life! I love garlic too! Use the recipe below as your base and then add or take out in the next batch you make. Or if you love it as is feel free to double or triple the recipe below. It’s up to you! Mix everything together and store in an air tight container. This is great! I’m horrid at getting out the door too. We have to get up EXTRA early for school, and we’re STILL usually RIGHT on the line. Ack. Now I work in the mornings too, so that throws an extra wrench into the mix! We get up at 6am to make it to school by 9. I cannot guarantee everyone has clean everything on most days, and their socks definitely don’t match – but hey. Choose your battles, right? 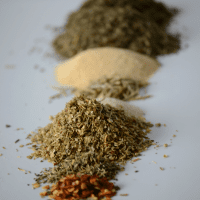 Love your Italian seasoning mix! I never make my own seasoning mixes, and I need to start! 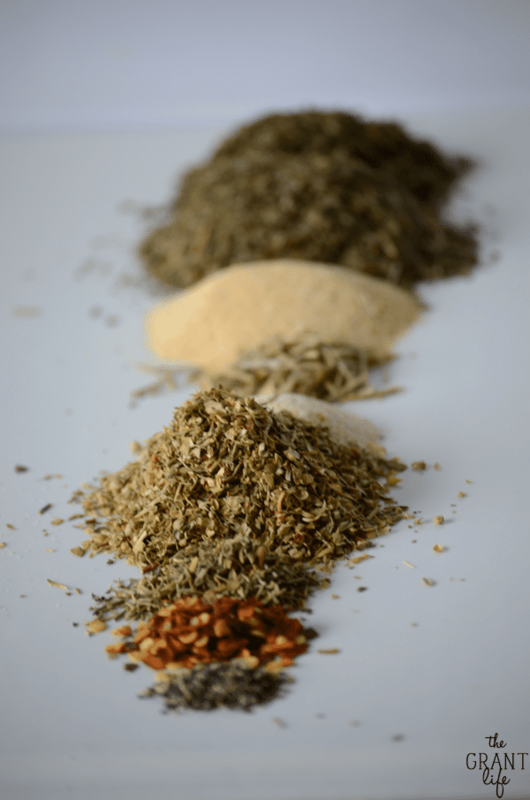 I love making my own spice blends. Such a great recipe! Thanks so much! Its so great to have on hand! Great minds think alike! I just make this too. Love your mix! Thanks Ginny! Its so nice to have on hand! I’m totally not a morning person either! I tried for years to break myself out of my hating mornings habit but now I just roll with it 🙂 This Italian seasoning sounds like a great addition to pretty much everything! I gave trying to be a morning person a try. It just wasn’t happening! haha! 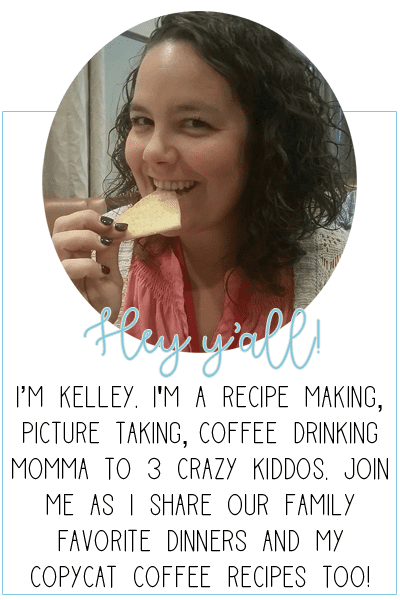 Ooh I love this recipe, Kelley! I use Italian seasoning a lot, and it makes so much sense to make my own. I’m going to try this for sure! I can not relate to setting an alarm. My kids have been my alarm clock since my oldest was born. At least one of them wakes up before six every day without fail! Every. Day. WHAT?! I’m obsessed with this! Going to make it today! Thanks! Hope you enjoy Becky! Its so good on.. well.. everything! I can’t imagine what I am going to be like once I have kids as I already have a hard time just getting myself ready on time. I am already scared of those days….. This is the best, no more little botles everywhere in my cupboard, and does it smell great.The best of cooking lies ahead. I just started making my own sausages at home. Great experience! My question is, is this seasoning good for flavoring the ground meat that goes into my Italian sausages? It should work fine in Italian sausage. I personally haven’t tried it so I can’t give advice. Hope that helps! Just made it & it smells terrific. Looking forward to using it soon!